Newly refurbished modern flat in Caol Ila, Islay with beautiful views across the Sound of Islay to Jura. Caol Ila distillery is literally two minutes away by foot at the bottom of the brae. 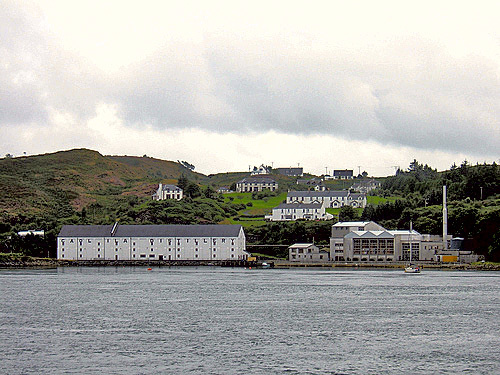 The flat is approximately one mile from Port Askaig ferry terminal. 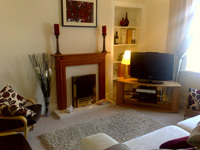 The flat comprises three bedrooms - two doubles and one twin. 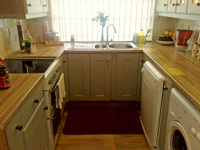 The kitchen is fully equipped with cooker, microwave, dishwasher and washingmachine! The bathroom features a power shower and bath. 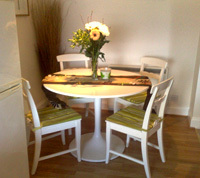 Tariff is from £250 - £550. Please contact for further details or to book.